Habitat for Humanity is a global housing organization that works in more than 70 countries and nearly 1,400 communities throughout the United States. Families and individuals partner with us to help build a place they can call home. Habitat builds new homes and rehabilitates vacant homes for first-time homebuyers. Our professional construction staff manages our build sites and oversees our paid subcontractors and volunteers. We balance the use of professional and volunteer labor to achieve our goal of serving as many families and individuals as we can, as efficiently as we can. Qualified homebuyers have the opportunity to purchase a home that is appropriate for the size and composition of your household based on our current projects. Habitat does not build custom homes. To keep the homes affordable, Habitat cannot accept custom design requests, but homebuyers often have the opportunity to select home finishings such as flooring and cabinets. We do not offer home repairs for owner- or renter-occupied homes, nor do we provide grants for housing or home repairs. Habitat does not own or manage any rental properties. When land is available, new construction provides an opportunity to dramatically transform a block or neighborhood while also providing a high-quality home to a family in need of affordable housing. We cluster our new builds within focus neighborhoods to maximize impacts and, in recent years, have primarily built attached row homes that fit within the architectural history of their neighborhood. Our new construction homes are built to current Energy Star standards and are also NGBS Green Certified at the Bronze level of the 2012 National Green Building Standard. Our community is rich with architectural history, including many buildings that have become blighted or abandoned. We identify buildings worth saving in our focus neighborhoods and, in most cases, use a full rehabilitation model in which we completely gut the home, replace all major systems and rebuild the interior into a high-quality home for a family in need of affordable housing. Habitat is fortunate to have partnered with both the Albany County Land Bank and the Troy Community Land Bank to bring back several vacant properties into productive use. Habitat homes are then sold to first-time homebuyers and financed with affordable loans. We partner with responsible banks to help expand access to affordable mortgages—advocating for change to undo decades of unfair lending practices and public policy.  Habitat homebuyers are qualified based on their level of need, their willingness to become partners in the program, and their ability to obtain and repay an affordable loan. In addition to paying monthly mortgage payments, homeowners invest hundreds of hours of their own labor—what we call “sweat equity”—into building their Habitat home and the homes of others. Habitat works with families to help them acquire the access, skills and financial education necessary for them to be successful homeowners.